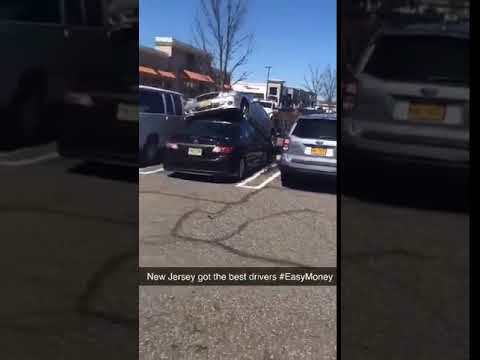 PARAMUS, N.J. -- Paramus police on Friday released dash-cam video of the start of a wild chase down Route 17 in which the ex-con behind the wheel struck several vehicles. It was the second of two chases involving Paramus police on Wednesday. The search for the black 2011 Volkswagen Jetta began in Oakland, after a suspicious incident at a Walgreens prompted police to issue a Be-On-the-Lookout alert, Paramus Police Chief Kenneth Ehrenberg said. When Oakland police approached the driver, 24-year-old Nicholas Vizzone of Roseland, to question him, he Vizzone sped off, Ehrenberg said. Vizzone has an extensive criminal record. In early January of last year, Wayne police charged him with aggravated assault, among other offenses, after they said he backed his car into two officers and pushed another in front of an oncoming vehicle during a chase down Route 23 . On Wednesday, Paramus Police Officer Thomas Holden spotted the VW headed southbound on Route 17 near Midland Avenue, Ehrenberg said.